This morning I was reading on Dr.Mercola’s website how harmful Teflon is to our bodies. I had heard this but never heeded the warning until now, so I threw out my Teflon fry pan. Then I wondered what all the cooking and frying I have been doing in these types of pans has done to our health. If I had just used the cast iron and stainless steel pans all of the time, would it have given us even greater health? So I decided to work on our meal plans and include more nutrient rich foods in our diet. 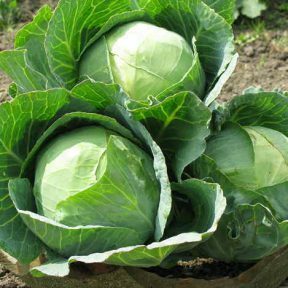 These foods can help our bodies fight against the toxins we take in through the environment as well as through things like our cookware. I decided to start with our bread recipe. I went by one of my recipes in EAT MORE WHOLE GRAINS but as you will see I made a few simple changes to a recipe. We have been eating 2 tablespoons of crushed flax each day on our porridge. 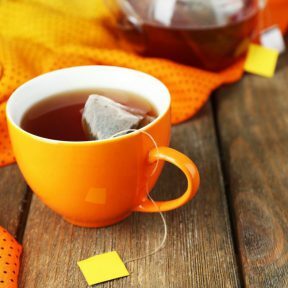 A study on cancers, diabetes and heart health suggest 4 tablespoons can be even better. 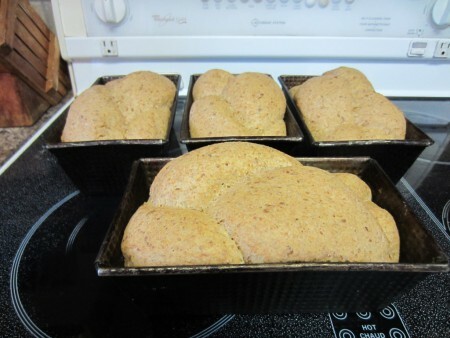 I have decided to add flax to baked goods and I started with the bread. I will also omit any store bought flour and use only organic spelt flour. These are all positive changes and I will do the same for other recipes in EAT MORE WHOLE GRAINS cookbook when I bake. The remaining ingredients & instructions in the cookbook can stay the same. I will do an update with this recipe in every cookbook for anyone ordering it from the website. I was pleasantly surprised at how great this bread turned out. I am doing smaller batches and the last 4 batches were made the same and turned out the same & just as good! This is a small batch that will make 4 loaves that are a pound of dough each. I left the dough in the pans rise really well so the bread was nice and soft. I use my Bosch Kneading machine to mix this recipe, but you may have a different machine that also kneads the dough and develops the gluten. Or you may wish to knead well by hand. I braided the loaves as it seems they are a bit nicer that way. Put all the ingredients except 2 1/2 cups of the spelt flour, yeast and Dough Enhancer into the Bosch bowl. Mix the ingredients together. As it mixes, sprinkle over the yeast & dough enhancer. Knead in the last part of the flour. Knead 9 minutes. Cut into 4 equal size pieces and shape each into an oval. With a sharp long knife cut each oval into three even strips with the top still joined together. Braid these 3 strips and join at the bottom. Place each braid into a loaf pan. Let rise until double. Bake for 25 minutes at 350 ° F.
Remove from pans and let cool before packaging. This recipe makes great sandwiches so our kids are using it for school lunches. 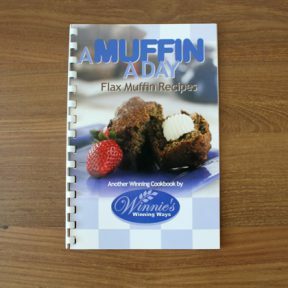 I am also baking a batch of muffins from the many recipes in A MUFFIN A DAY cookbook, for those days when we just want to eat one item of food and get the 2 tablespoons of extra flax. We may have the muffin at tea time or as a dessert at supper.